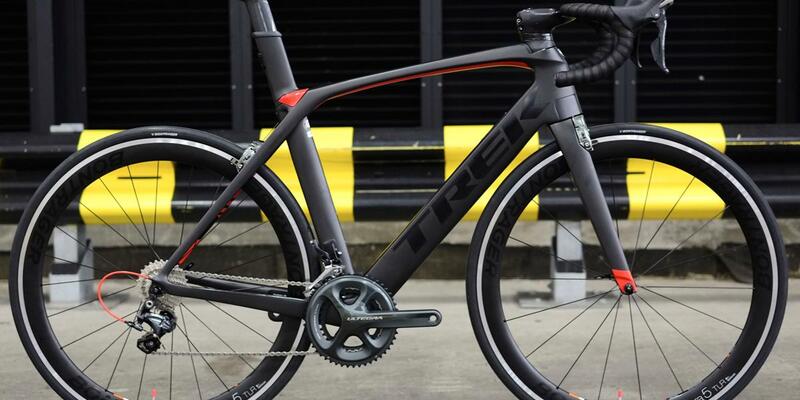 Kelly went for Trek's Project One program, allowing him to customise the paint and spec on his new Madone 9.2. 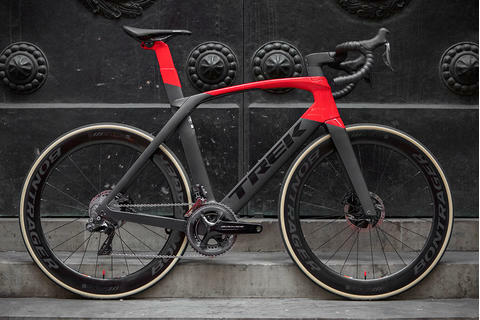 The frame uses Trek's 600 series OCLV carbon and has the IsoSpeed decoupler to make this one of the most comfortable race-ready aero bikes out there. 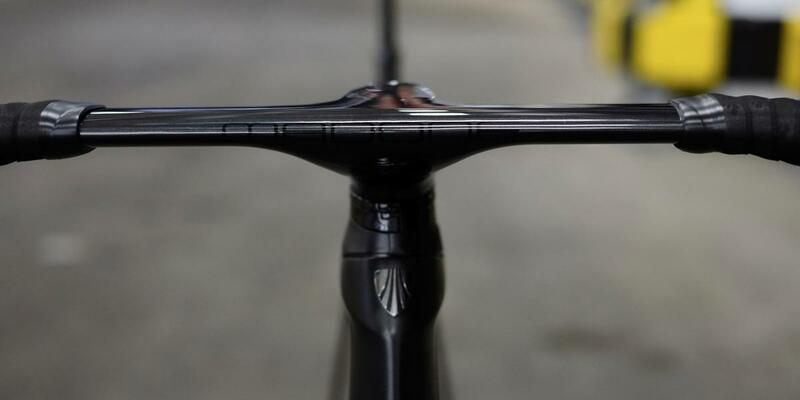 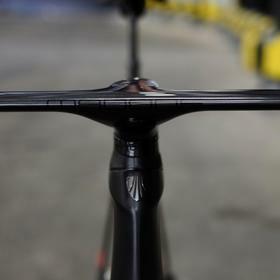 The Madone features a lot of integration in its design, most notably at the front end, with the proprietary bars giving no hint of the cabling at all. 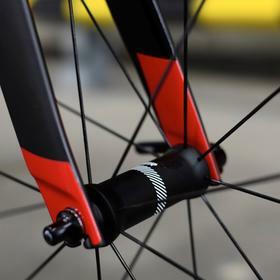 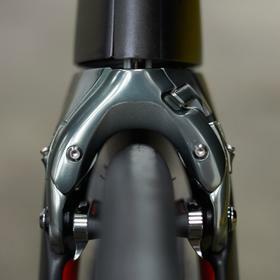 Feeding through the bars and the headset spacers directly into the frame, this gives an incredibly modern look in addition to the aero advantage. 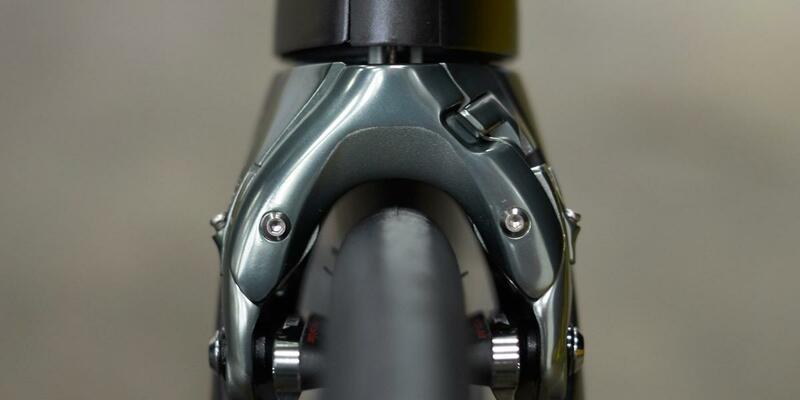 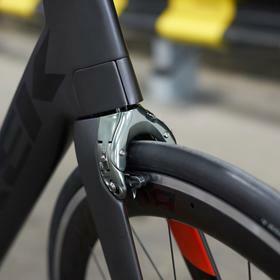 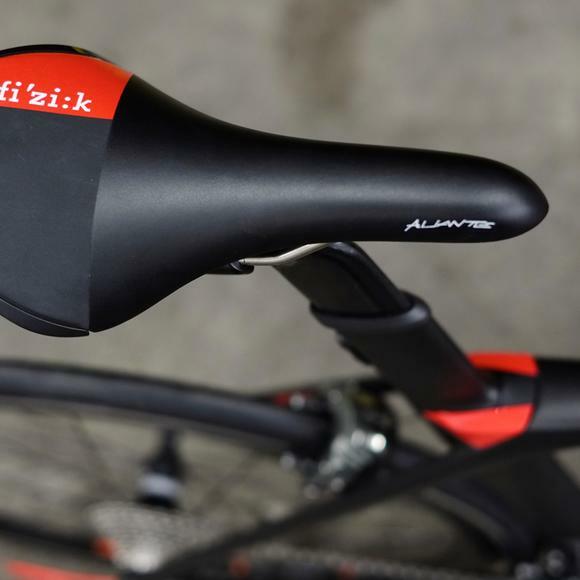 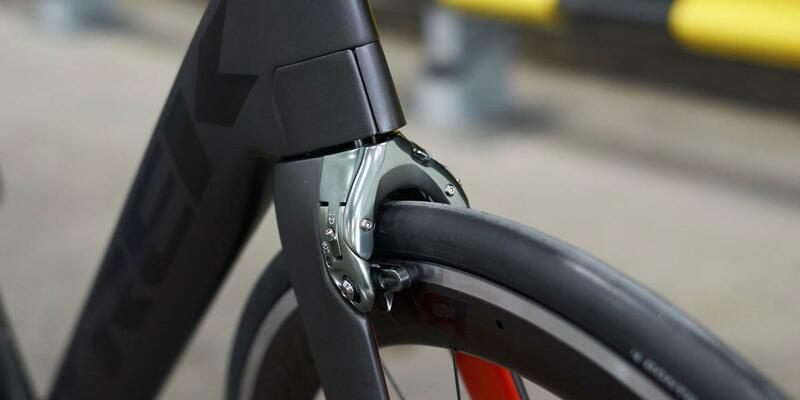 The front brake is also heavily integrated into the fork, with flaps to allow for full range of movement. 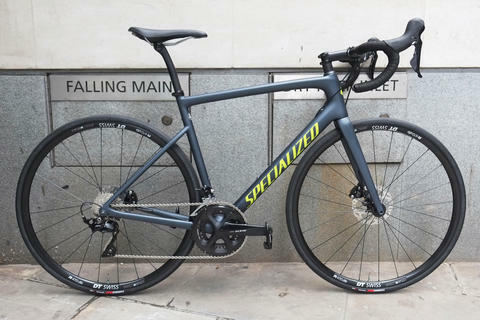 Kelly went for mechanical Ultegra, a fantastic grouspet: super efficient, with a great feel to the shifting, and at a great price for this level of performance. 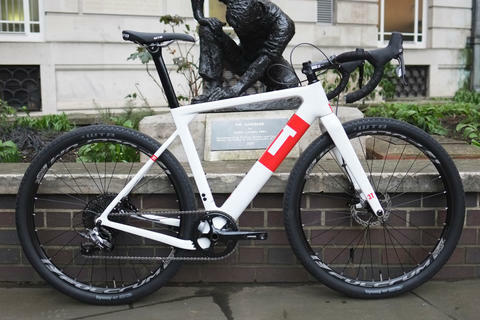 Come and see us for a perfectly fitted, individually specced Trek Project One of your own. 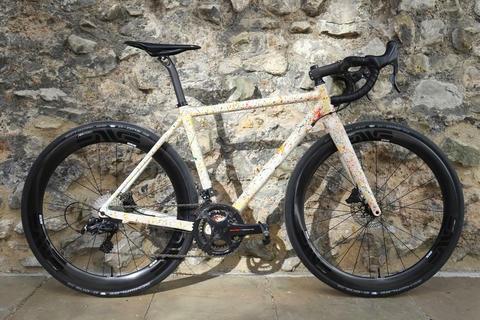 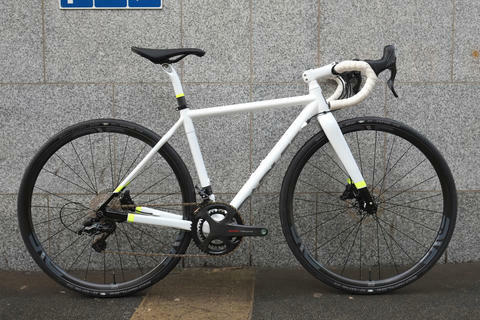 Bike built at Bespoke Cycling, Canary Wharf. 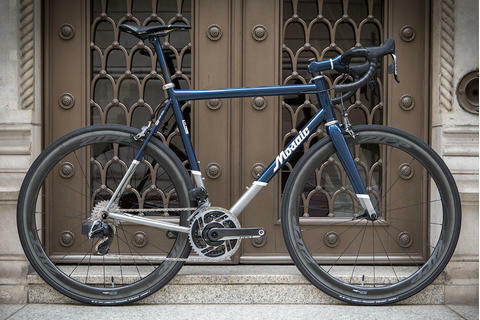 Photography by Bence Bujaki for Bespoke Cycling.